Happy new year everyone!! :D I hope everyone is having a great start to 2014. Wow christmas comes so quickly! And that means i have another society6 haul. I have another society6 haul that i did around after christmas 2012, so btw everything in this haul is some of what i got for christmas. Everything i got is from www.society6.com/helengreen (i will post better pictures soon, when i figure out my new camera haha.) And sorry i do not post very often, i am really busy with school and work and i am also getting ready for starting beauty school on wednesday. yayyy, i am so excited! NOTE: I am NOT bragging about anything i got, i just love hauls and i did a society6 haul in the past and i know everyone liked it and i got a lot of questions, which i answered in my last society6 haul. So i'm doing another one since i got stuff from society6 again. I love helen green, she is so talented, was also the first little monster to be invited to the haus of gaga and I absolutely love her art! So of course i have ton of her drawings on things like art prints, mugs, t-shirts, iphone cases etc and btw everything i got has lady gaga on it (which is usually what she draws but she draws other people too!) cause well you know that i love lady gaga! 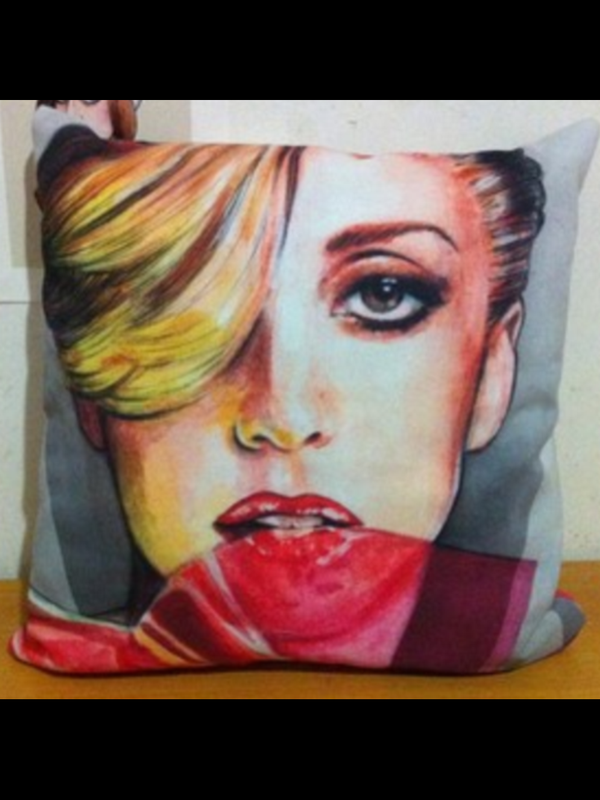 There's lots of cool stuff on society6 and other artists but i only have gotton from helen green and only gotton gaga stuff haha. Everything is good quality and at pretty good prices. I love artprints, they are one of my favourite things to get from society6! All artprints are $15 each (helen green artprints are but other artists might have different prices) i got 6 artprints all were in the in the sizes Mini - 7" x 10" and it cost more if you get a bigger size artprints. note: some things will come on and off the site so for example if you wanted to get the princess high artprint it might not be on there but it might also come back on! The artprints are Gallery quality Giclée print on natural white, matte, ultra smooth, 100% cotton rag, acid and lignin free archival paper using Epson K3 archival inks. Custom trimmed with 1" border for framing. I copied and pasted that from the site to show you what the artprints are made of. They are really good quality and look awesome on my wall haha. 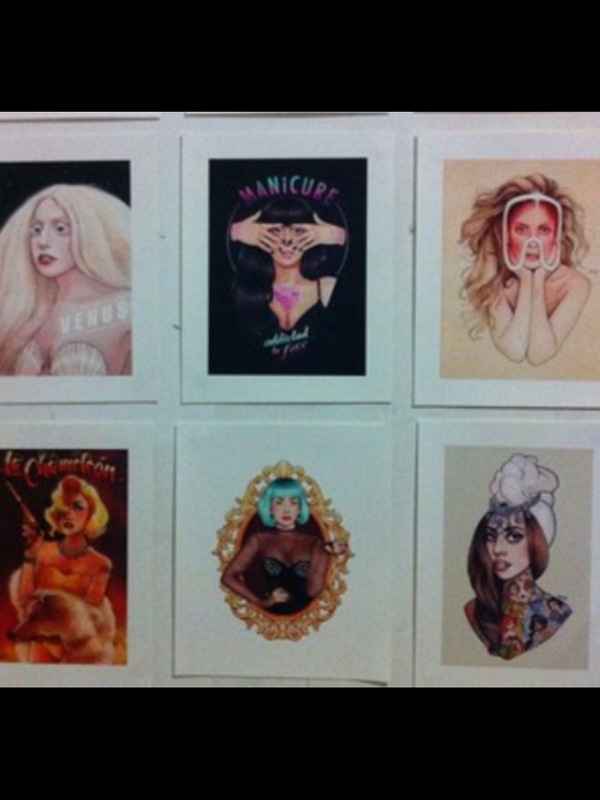 links to the artprints i got: Take me to your venus, MANiCURE, ARTPOP era, La chameleon, Teal lady and Princess high. The throw pillows are made from 100% spun polyester poplin fabric, a stylish statement that will liven up any room. Individually cut and sewn by hand, the pillow measures 16" x 16", features a double-sided print and is finished with a concealed zipper for ease of care. Includes faux down pillow insert. 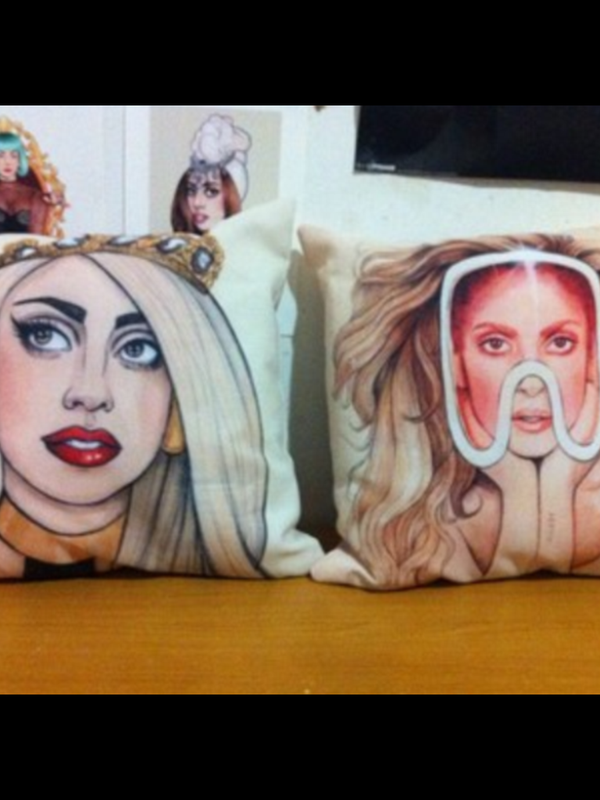 Links to the pillows i got: ARTPOP princess VI, ARTPOP era and V mag. Also a new one. Funny story about what happened to one of the handles of my new gaga mug haha... My cat did it! I drink anything out of these, no not coffee! ewwwwies i hate coffee haha. I got 2 mugs both in the size 11 oz and they cost $15 each. The mugs are Available in 11 and 15 ounce sizes, our premium ceramic coffee mugs feature wrap-around art and large handles for easy gripping. Dishwasher and microwave safe, these cool coffee mugs will be your new favourite way to consume hot or cold beverages. 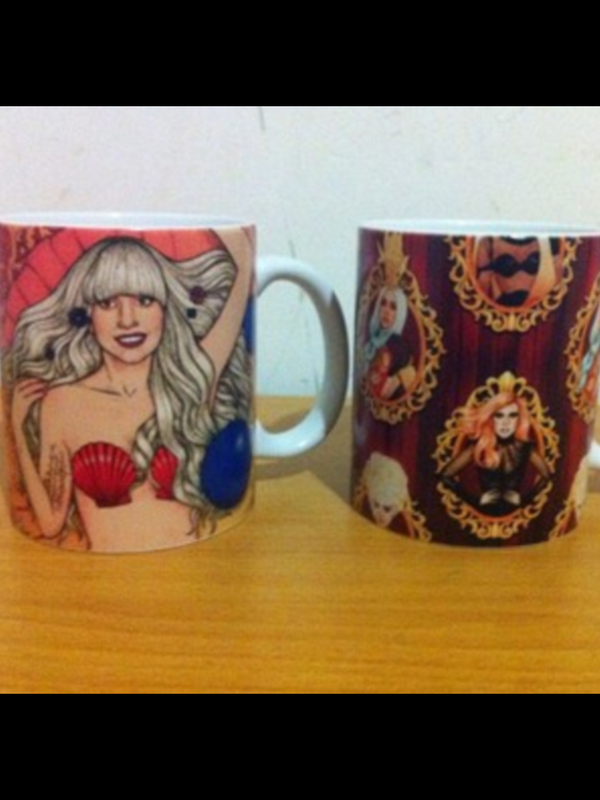 Links to the mugs i got: Aphrodite lady and Gagallery. 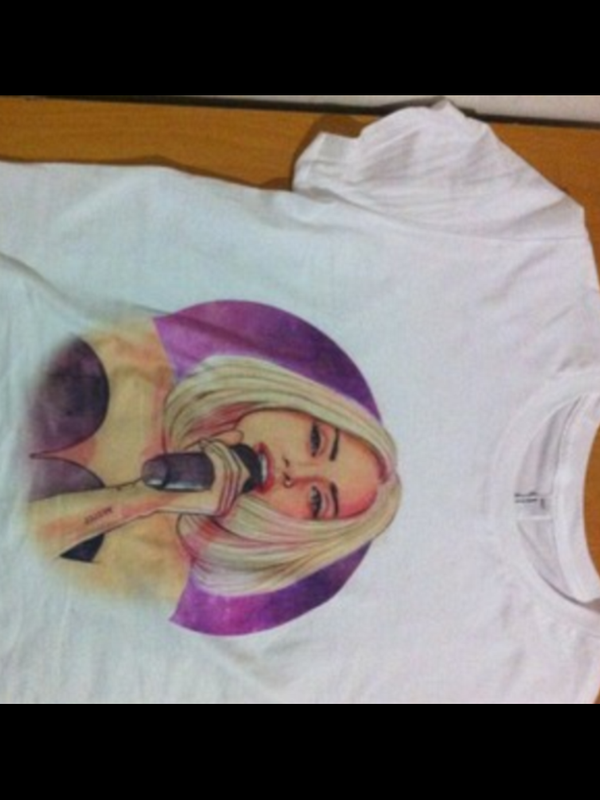 Yes, i got more t-shirts, what can i say i love having gaga printed on me! I got a womens fitted tee in the colours black and white and in my size and they cost $22 each. 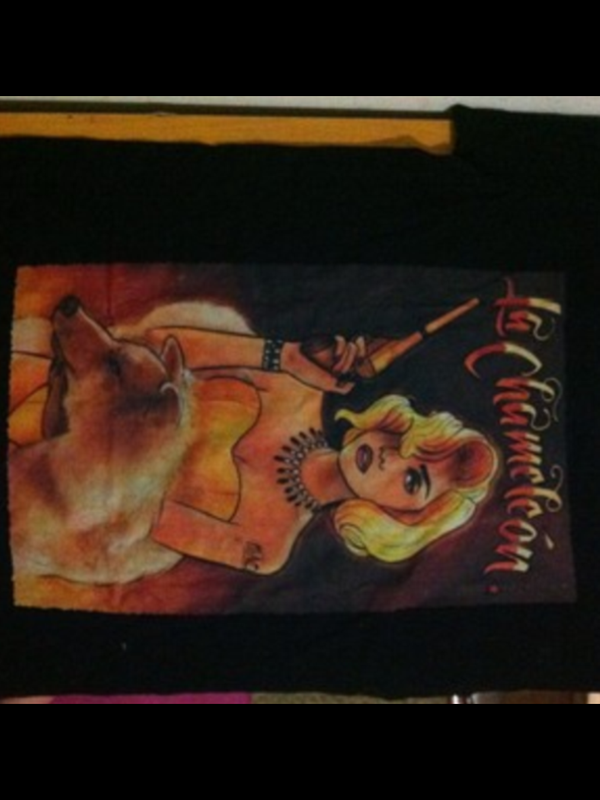 Links to the t-shirts i got: La chameleon and NYC pride rally. 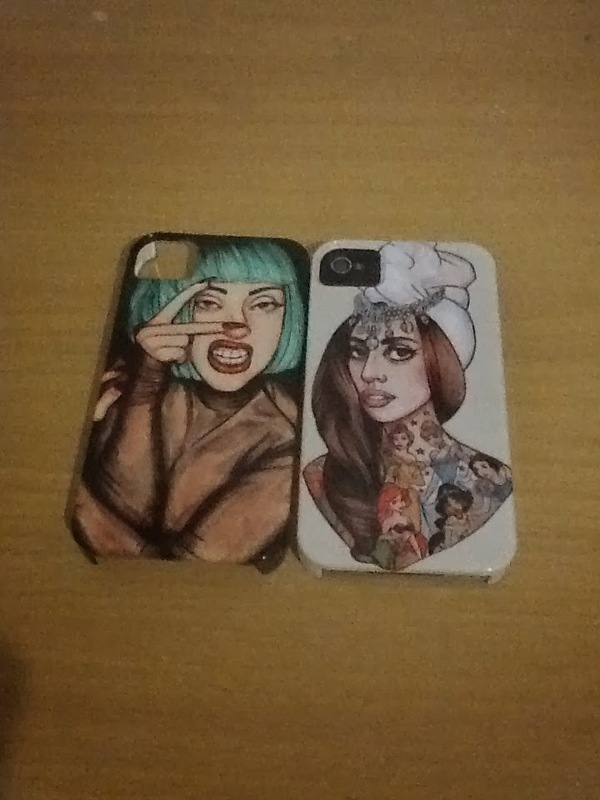 I was probably most excited about getting some new gaga iphone cases. These are seriously really good quality and looks great on my iphone! I got 2 iphone 4 cases and they cost $35 each. Links to the iphone cases i got: Vamp and Princess high. If there is any thing i forgot to mention or you have any questions, please leave them in the comments.